A fresh edition of Riddim Magazin hits the streets today. 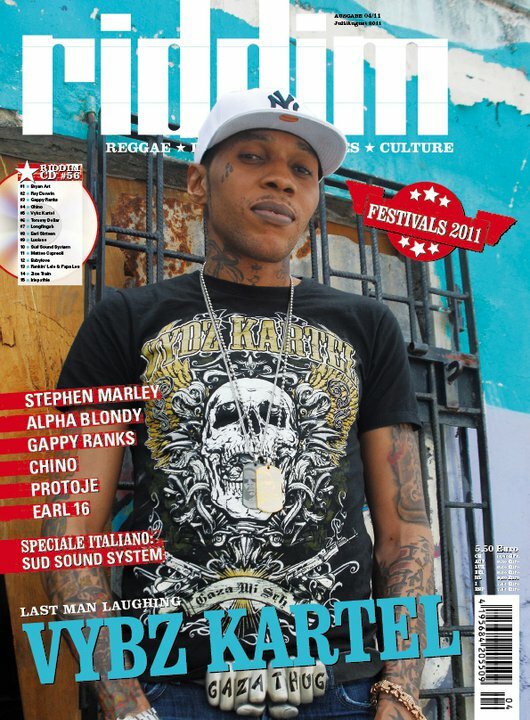 Vybz Kartel is featured on the cover along with a 7-page interview. plus a 10-page special about the Festival Summer 2011! As always the magazine comes with a CD full of fresh music.